Many apologies for the radio silence, it’s been an astonishingly busy few weeks, mainly down to the arrival of our lambs! 32 of them running around the place now, with one last ewe holding out on us, though she has an udder like a football, so I hope number 33 will be with us before too much longer. Guests have been coming and going at Ethel’s and we’ve had a few more bathroom issues. Jeff’s bottle trap fixed the basin leak and I haven’t had any further comments about leaks in the shower, but I did get a message from one set of guests to say the shower was backing up to the point where they’d had a small flood in the bathroom. So Jeff and I went down there while they were out (with their permission) and investigated. First stop, check the shower trap – clear (I take the hair out of it at every changeover, not my favourite job, but important). Second test, flush the loo, which is below the the shower in terms of the way the water runs. Water level in shower trap rose slightly, indicating there was a blockage somewhere between the house and the soakaway. John Angie had told us that the drains can block at one particular point and he used to rod it every three months – now, we hadn’t touched it in 2 years and I doubt Ethel’s son did when he lived there for a while in the 2 years after she died either. We lifted the access point John had pointed out and sure enough, it was backed up, indicating the blockage was further down. One set of rods, a satisfying sucking noise and a miniature ancient fatberg later, it flowed away, but Jeff advised getting Magnus (the house painter) over, as he had the right equipment to power flush the whole system through. 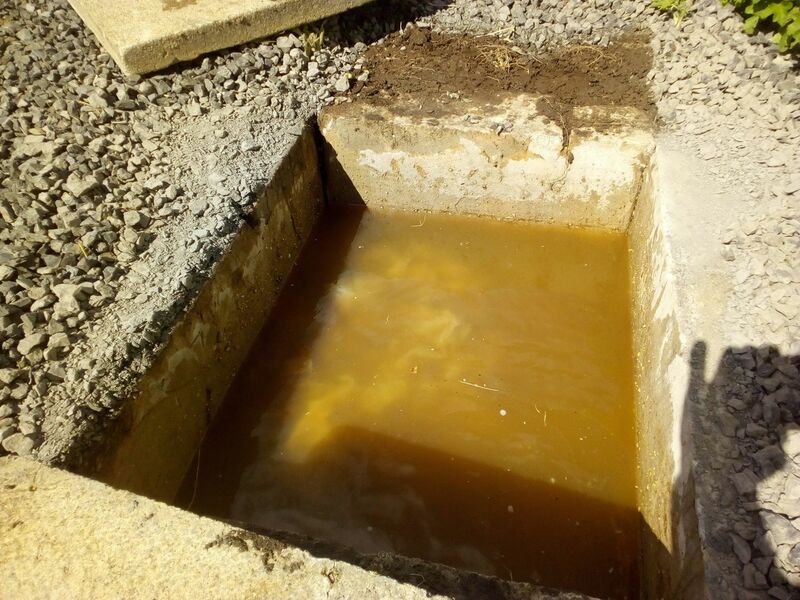 Yes, the scourge of all septic tank systems – the wet wipe!! I think we need a better sign for the top of the toilet – the one provided by the agency says only soft tissue may be flushed down the toilet and it appears that people are taking that to include the dreaded wipes. Magnus, who needs a bravery medal, cleared it, flushed the system, and so far it seems to be behaving itself, but he thinks we might benefit from having the soakaway redone at some point, as it’s not working too effectively right now. Then on Thursday last week we had to get Jeff back again, as the hot water stopped working. A quick investigation revealed the culprit, a hole in a rubber hose inside the boiler, which had obviously been rubbing against something and gradually eroding. Fortunately Jeff had the right part at home and was able to repair it straight away. I peered into the tank to check there was oil in it, could see my reflection but didn’t have anything to dip it with, so we fired it up and it started working – all seemed good. At midnight I got another email from the guests to say it had stopped working again, so I went down there at 7am with a bamboo cane and found the oil level was below the outlet pipe from the tank. Given I’d put 500 litres of heating oil in there about two months previously, that was not good news – I’d had the same amount put in our tank at home at the same time and that was nearly half full still. We appeared to have lost 200-300 litres from the leak. I called the two oil delivery companies, neither of whom were coming west that day (Friday), but got a delivery booked for today (Monday). Our thought was to try and find someone local with a small pump, siphon some oil out of ours and take it down the road, but when a number of phone calls drew a blank, we suddenly remembered that Allans of Gillock, the agricultural store where we buy our red diesel for the tractor, also has kerosene on pump, so I emptied all our jerry cans into their respective bits of machinery, drove over to Watten, filled them with 75l of kerosene, lashed them all together in the boot so they wouldn’t fall over, drove back, emptied them into the tank, hit the reset button on the boiler and….nothing. Jeff, who by this point was probably qualified to put ‘damsel in distress rescuer’ on his business cards, arrived 15 minutes later, diagnosed a lot of air in the system, bled it, and it started up just fine and has been working ever since. I saw the Simpsons lorry go up the road this morning, so I can now stop worrying that this week’s guests are going to run out of oil. ‘Dip tank’ will be added to the list of monthly maintenance tasks!! We are now on our eighth set of guests and are starting to get less panicky that people are going to hate it and give us bad reviews. So far we have three out of three 10/10 scores on Revoo (which get displayed on our listing with the agency) and the comments in the visitors’ book have been amazing. I’ve learned that to do a full changeover of all five bed spaces is about seven loads of laundry (depending on whether they used all the towels as well) and that the next set of bed linen I buy is going to have fitted sheets instead of flat – slightly harder to iron, but a lot quicker to make up! Bookings-wise, we’re now up to 113 nights booked and a little under £8,500 of revenue after the agency’s fee is taken out. As regards the other house, missives are concluded and we’re completing on Thursday, but in the meantime I’ve got involved with two other little projects on the side. 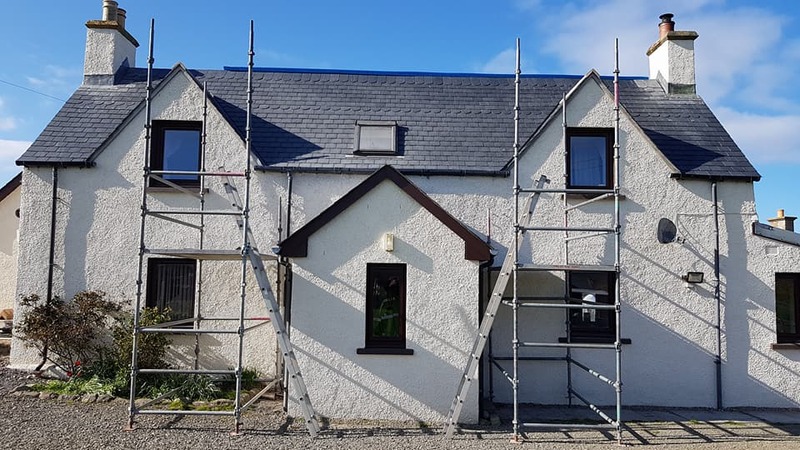 One is our own house, which has needed a new roof for a while, so Pete and his new sidekick, Al, have been taking the fibre cement tiles off it and replacing with proper heavy slate. It looks fabulous. James, who is now a delivery driver, has even been back to cut the scallops, just like he did for Ethel’s. We were going to go for diamonds either side of the Velux, but it’s not quite central and it would have sent Mick’s OCD bananas, so we’re having a big diamond on the porch roof instead! The other project is our village hall! 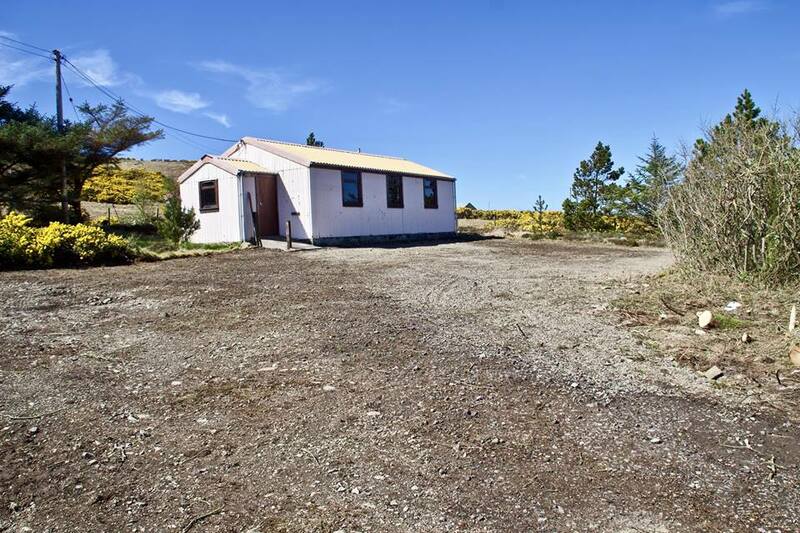 I’m now the hall committee secretary and we’re applying for a big grant from the local wind farm to turn our lovely old traditional hall into something fit for use. We’re working with a local architect, who’s come up with the brilliant idea of building a new structure around the old hall, so it becomes the main room within the new building. We’re planning to provide facilities not just for the village, but for tourists passing on the North Coast 500 and people visiting the beach, so it’ll have toilets, showers and a laundry room which can be open for public use while the main hall and the kitchen remains locked up. This is what it looks like at the moment, just after the landscapers had been in to clear out the overgrown car park and take down a few trees. So lots and lots to get my teeth into and I can’t wait to get going with Tor Aluinn!